We've usually got plenty of hardwood firewood (mostly ash & maple) ready for you. it's only $120 for a face cord. 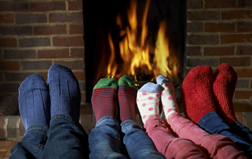 We’re talking about hardwood cut to length, split to proper burning size, dried to approximately 20% moisture content, and ready to burn right now – ideal for fireplaces, stoves, or furnaces. 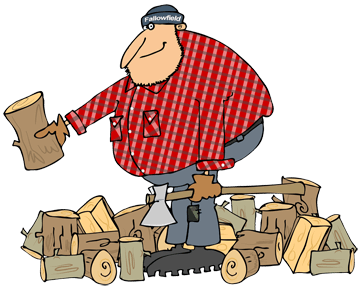 For a nominal fee – which is based on how much firewood you'll need, we can deliver your firewood within the Ottawa area. by doing some of the work yourself… we also sell full, unsplit logs for only $70 a face cord. All you’ll need is a bit of elbow grease, a chain or buck saw, and a good ax or wood-splitter. 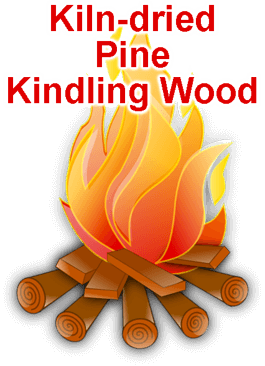 To make starting your fires easier, we now offer kiln-dried kindling for $6 a bag (approximately 8 pounds/3.6 kilos) of pre-split, ready-to-burn pine… the perfect wood for the job.